My initial thoughts as my mouth watered, examining the packet of bacon was that it was going to be delicious! Most of the “canadian bacon” I have had in the past was really just cooked ham, no fat, cut in a circle and fried hot to serve. 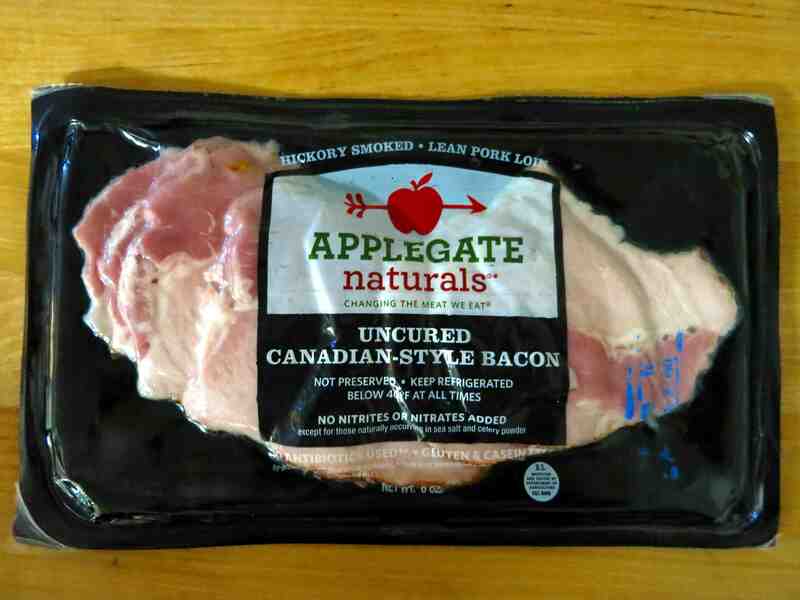 This, however, was obviously real bacon, and it looked delicious! As I opened the package, I noted that the slices were quite thin, and that was going to require care while cooking – if the pieces stick to the pan at all, they would tear. Also, for better or worse, there did not appear to be much fat on the bacon slices. Obviously that could turn out to be a good thing, but it also meant that I may have to account for that while cooking. While cooking, I paid close attention to the amount of bacon fat that was converted to cooking oil. This was especially important because, as I mentioned above, the slices were thin and might end up tearing if they stuck to the pan. I noticed that there was a distinctly “roasted ham” scent while cooking the bacon. This was a good thing, because I really like the scent of roasted ham. I did end up adding some coconut oil to the pan because there just wasn’t enough bacon fat to cook itself, but I added it later, as the bacon was starting to get sticky on the pan. And finally, the taste: My first impression was a great cooked ham flavor, not much like American bacon. Again, this could be a good thing or a bad thing. There was little of the “smokey” flavor that most American bacon has, although the way that I cooked the bacon did supplement with plenty of the carmellized flavor that happens when you cook meat without much oil. It was an acceptable substitute. I noted that despite that the slices were thin, they still pack a lot of flavor. As I mentioned above, I really like cooked ham, and when fried properly that extra carmellized flavor can be quite nice on cooked ham. Also, as seems to be a theme for this package of bacon, it was quite lean. This presented a challenge while cooking, but one easily solved. Similarly, it changes the flavor, since a good amount of the vaunted flavor of bacon comes from the fat. Though, while it changes the flavor, it certainly didn’t make it worse, but notably different. And as for presentation: Honestly, I think it presents better than American bacon. Sitting on the plate, my thoughts were that it looks more like a ham dish than a bacon dish. 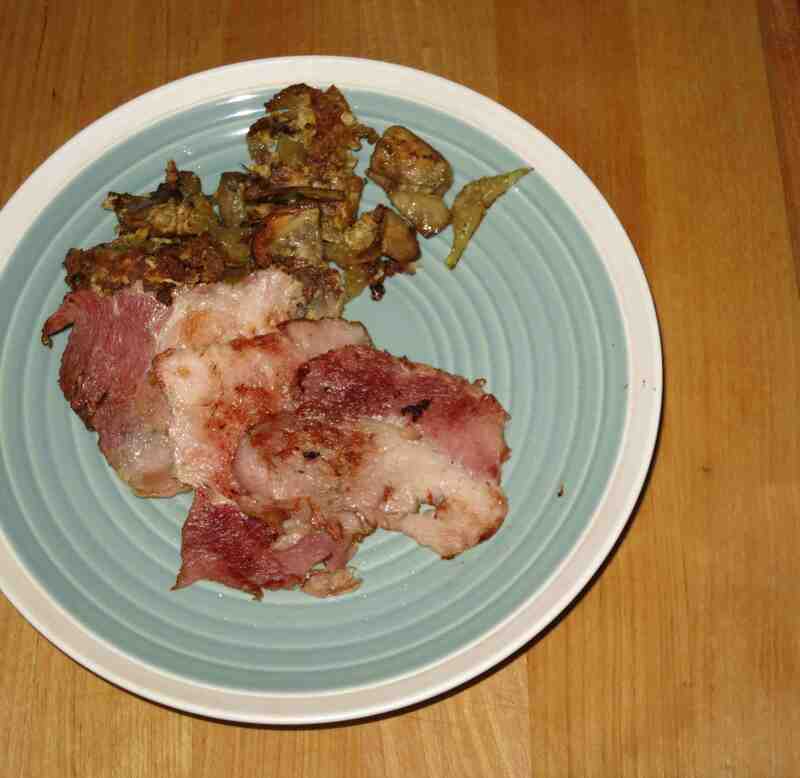 Also, the coloring of the bacon was quite vibrant: more like fried ham than bacon. There were lots of pinks, reds; it was a light hearted coloring. There was less of the deep red coloring you see in most bacon.